Since the conception of Al Areen Palace & Spa, it continues to deliver exceptional service through its villas, restaurants, spa and wellness facilities. 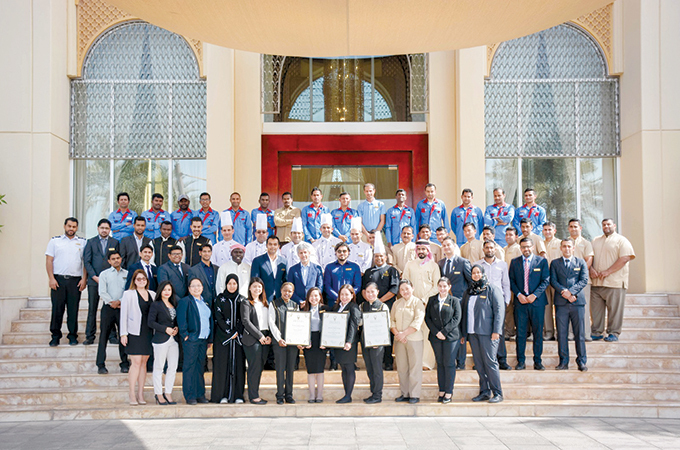 Al Areen Palace & Spa has received four accolades from prestigious awarding bodies in recognition of its food, accommodation and spa. The hotel has successfully captured the hearts of the kingdom's residents and visitors, which helped it bag the Favourite Gulf Restaurant Award for Saffron restaurant at the Citi FACT Dining Awards 2017. World Luxury Hotel Awards, a globally renowned awarding body, has recognised the property with Country Winner award as Luxury Spa Hotel & Luxury Villa Resort and Global Winner award as Luxury Private Pool Villa, respectively. “We are thrilled to see Al Areen Palace & Spa receive so much recognition in the last quarter of 2017, and the team is delighted to be recognised by these awards adding to numerous awards and accolades received over the past few years,” said Dr Essa Faqeeh, CEO, Al Areen Investment Company. Uniquely nestled on a desert Arabian oasis, Al Areen Palace & Spa is the first luxury resort in-villa styled hotel in Bahrain and spans over 131,000 sq m. It features 78 luxurious villas, a large spa & wellness area, three signature restaurants, a health and fitness centre, tennis and squash courts, meeting and banqueting facilities. It caters for on-site weddings, corporate retreats, conferences, outside catering as well as independent hotel guests and day visitors to the resort.